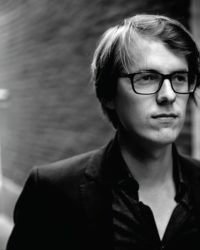 Maarten Boudry (1984) is a postdoctoral fellow of the Flemish Fund for Scientific Research (FWO) at Ghent University. He studied in Vienna (Konrad Lorenz Institute), Boston (Tufts University) and New York (City University of New York). In 2011, he defended his dissertation on pseudoscience: Here Be Dragons: Exploring the Hinterland of Science. He is the co-editor of Philosophy of Pseudoscience: Reconsidering the Demarcation Problem (University of Chicago Press, 2013), together with Massimo Pigliucci. His most recent book is Illusions for the Advanced: Why Truth Is Always Better (in Dutch: Illusies voor gevorderden). His current research deals with evolutionary epistemology, in particular, the problem of human irrationality. Other research interests include naturalism, skepticism, conspiracy theories, pseudoscience, and the conflict between science and religion.